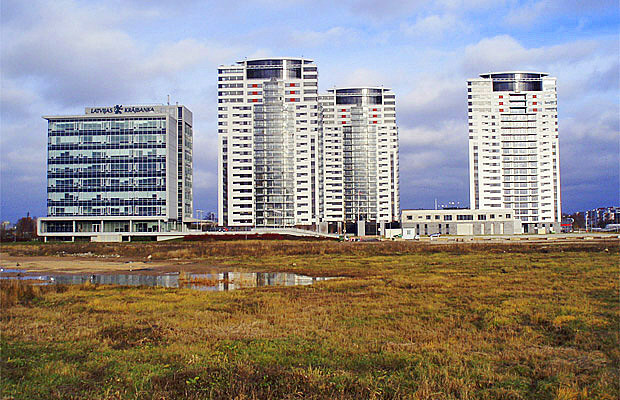 Construction of the first two stages was finished in 2008. 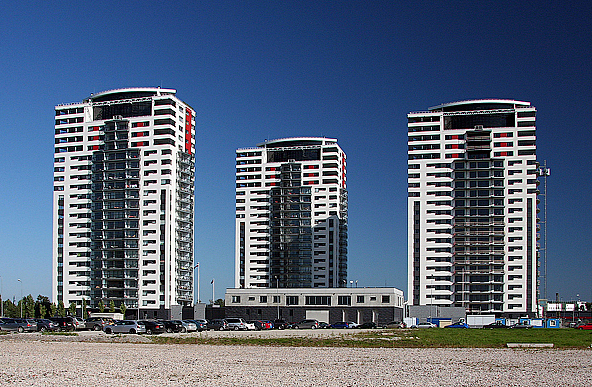 Third stage was completed in 2011. 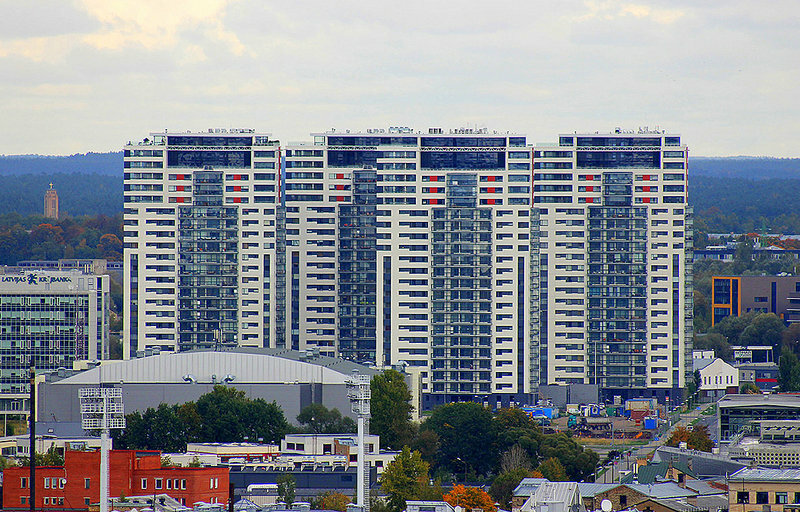 Currently 3 houses have been built with the 376 apartments in the residential building complex ”Skanstes virsotnes” . 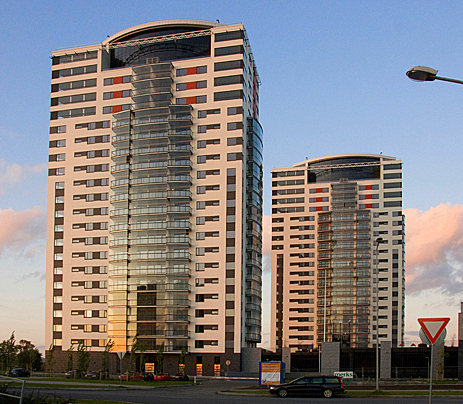 ”Skanstes virsotnes” are 24-storey residential buildings at the very heart of the city, Skanste – a place often called Riga of the future. They are beautiful buildings connected by a closed two-level car park, with playgrounds for children located on the landscaped roof. 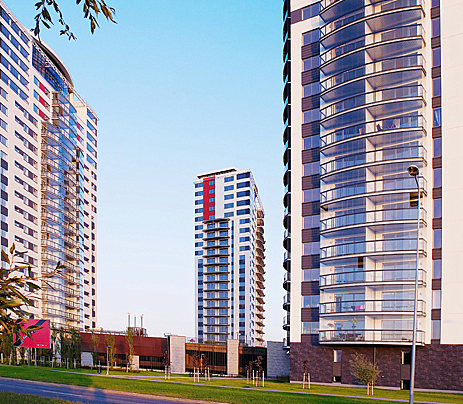 Each building ranging appartments from two to five rooms, with full finish, with an area of 67 to 160 m2. 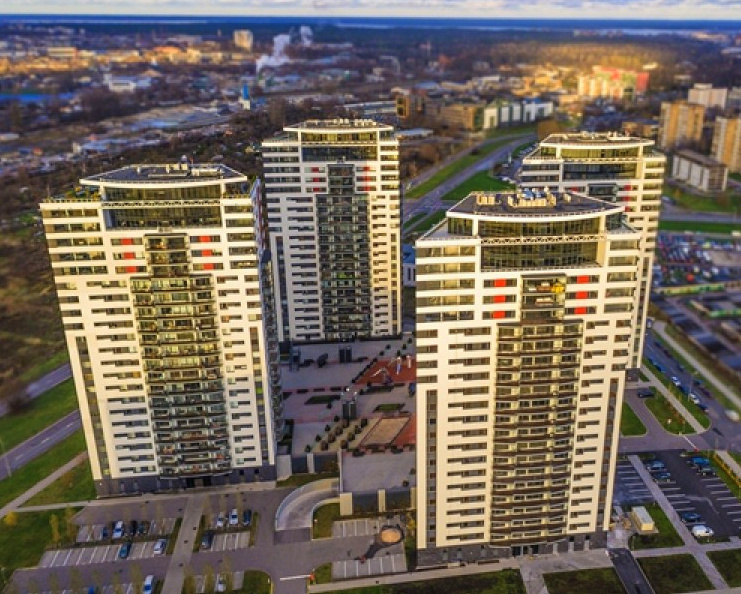 The residential building complex ”Skanstes virsotnes” has already been called the most ambitious construction project of the new millennium in our capital so far. 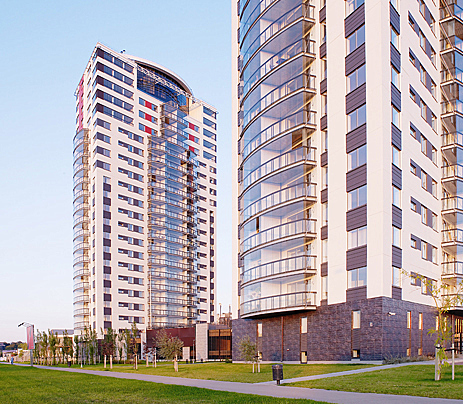 The new project is located in Riga’s Vidzeme suburb, between Ganību dambis and Kr. 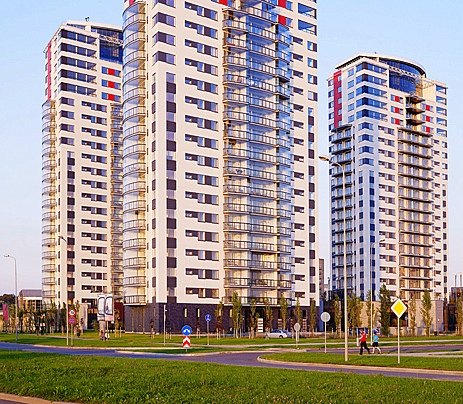 Valdemāra Street. There, Merks has undertaken a large-scale construction work of a new city block. A particular asset of this area will be the green zone that will take up more than four hectares. 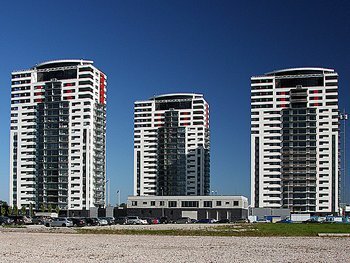 When the complex ”Skanstes virsotnes” will be totally completed, it will consist of four 24-storied living buildings, totally about 560 apartments. For conveniences of the residents, it is planned to have a parking lot for 620 cars in the underground parking lot and for 100 cars in the acceding territory of the houses. Closed greenery zone next to the houses – a spacious, greened territory of 6000 m2 with two playgrounds for children.